You may have seen the rather concerning reports circling the interwebs that the Nvidia RTX 2080Ti – the flagship Turing GPU – had been delisted. But, have no fear, as Nvidia have officially put those reports to bed. But, really, even the most lazy private investigator could have figured this out. 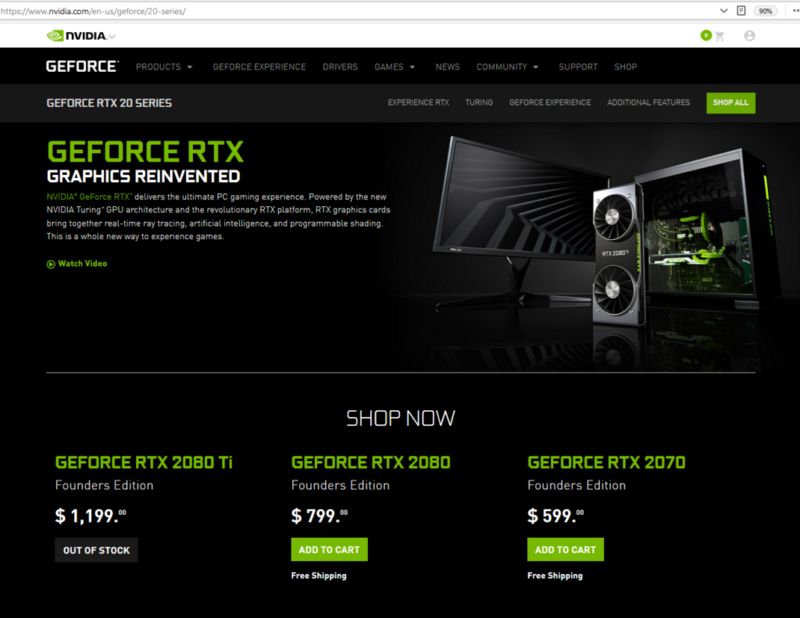 As I point out, with my tongue firmly in cheek, in the video this article all you had to do disprove this was open a new tab and type in “geforce.com”. There, you will see in all it’s glory, the RTX 2080Ti listed loud and proud. Now, feast your eyes on the button which states “out of stock”. This seems to be the root of the rumours stating that the graphics card had been delisted, alongside a form post which said that the first Turing flagship cards had problematic dies. So these two things joined hand in hand to create the rumour that the RTX 2080Ti was effectively being pulled from sale. Was it malice, or was it a simply of online Chinese whispers gone wrong? Really, it’s impossible to say, but just in case my lovely screenshot wasn’t enough to convince you we even have a statement made by Nvidia to WCCFTech. “The eTeknix story is incorrect. So, there you have it folks. This rumour is not only officially DOT, but the RTX 2080Ti is selling rather well and is going through a very normal (and boring) stock refresh. This article was filed under Hardware, PC Gaming News, Tech News. Tagged with 2080ti, 2080ti delisted, 2080ti oos, 2080ti pulled from sale, delisted, gaming news, nvidia, rtx 2080ti, rumor.